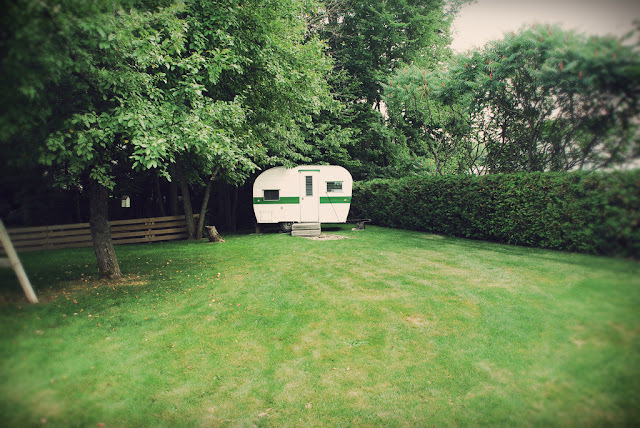 Last year, my parents bought an old caravan and put it in the back corner of their backyard. They bought it with the grandkids in mind - a place for them to hang out and play in during the warmer months. My sister Kim and I started fixing it up last summer but we ran out of time. I can't wait to get it all decorated and fixed up hopefully sooner rather than later so that the kids have lots of time this summer to play in it. Last summer I put down a new floor, painted the whole interior white and added some pops of colour in the built-in shelving. This summer we have to figure out window treatments for all the little windows and then put it all together with all the items we've been collecting. I am so excited to get started on it soon! 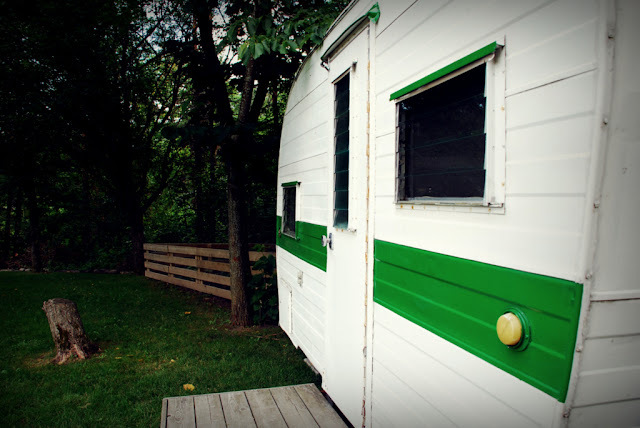 Check out all my posts (and the caravan's current state) here. The kids already had a blast in it all last summer and it wasn't even fixed up on the inside. They don't care about that stuff, just us adults do. Whatever makes us all happy!